Now there are more ways to enjoy music as the artist originally intended. With a newly-expanded High-Resolution Audio line-up for 2014 and expanding catalogue of High-Resolution music, Sony brings you closer to the true experience of actually being in the studio or concert hall. Whether you’re relaxing on the move or at home, High-Resolution Audio from Sony takes your listening experience to the next level. A 192KHz/24bit High-Resolution Audio file contains around six times more audio information than that recorded on a standard CD. A new flagship Walkman® model and a beautifully-styled Wireless Speaker System are joined by an all-in-one Blu-ray Disc™ Home Cinema System. Converting live music or other analogue sounds to digital formats like CD and MP3 results in much of the original audio getting irreversibly lost. High-Resolution Audio retains far more detail during the analogue-to-digital conversion process for a more authentic, emotionally involving musical experience. Enjoy High-Resolution Audio while you’re out and about with the Walkman® ZX1. Every single part, material, and feature of the ZX1 has been crafted by Sony engineers to realise the ultimate High-Resolution Audio experience on the move. Sony’s S-Master HX™[i] Audio Amplifier reduces distortion and noise at wider frequency ranges, while DSEE HXTM up-scales existing sound files to near High-Resolution quality – making you feel as if you’re really there at the recording studio or concert. Whatever you’re listening to, unmatched mobile sound quality is further assured by Clear Audio+TM technology[ii] by bringing together the expertise in digital signal processing technologies that Sony has cultivated throughout the history of Sony. And for even more revealing sound on the move, specially-selected precision components are teamed with thickened internal connecting cables and a super-rigid aluminium chassis. No compromise has been made to ensure absolute clarity of sound – including the use of extra-large ‘OS-CON’ power supply capacitors to maintain superb frequency response and minimise noise at the amplifier output stage. 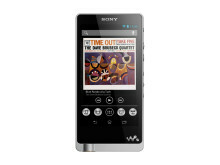 On top of this, the Walkman® ZX1 offers plenty of options for your listening pleasure. High-Resolution music files can be played in WAV, FLAC, Apple Lossless, and AIFF formats. Powerful, bass-rich sound and ultra-modern styling that blends with any interior set the new SRS-X9 apart from other portable wireless speakers. The premium 2.1 channel speaker system delivers powerful, full-range audio with rich, precise bass from the bi-amped subwoofer and dual passive radiators. No less than seven drive units include top and front-mounted Super Tweeters for sparkling highs. They’re fuelled by eight channels of S-Master HX Audio Amplifier power, totalling 154W RMS – plenty to let you turn up the volume for clear, undistorted highs and punching lows. Sony’s advanced Digital Sound Enhancement Engine (DSEE HX)[iii] refines and restores the audio signal, re-creating subtle high-frequency harmonics that are typically lost in heavily compressed MP3 and AAC files. On-board Wi-Fi lets you stream High-Resolution sound from your PC or via your home network. It’s easy to access popular online music streaming services such as Music Unlimited, Spotify and Tune-in Radio using your smartphone and Sony’s new SongPalTM app[iv]. Support for Apple AirPlay lets you enjoy music stored on your iPad or iPhone with no wires needed. And if you’ve got an NFC-enabled smartphone or tablet, just touch it briefly against the SRS-X9 for easy one-touch transfer. You’ve got the best seats in the house: Sony’s home cinema line-up introduces a new all in-one-system that expands your world of entertainment with High-Resolution Audio. Multi-channel 5.1 surround sound (N7200W) fills the room with each explosion and crescendo, as if you’re right there in the heart of the moment. Advanced DSP technologies bring voices, instruments and effects to life with unprecedented detail. For the first time, Digital Music Arena captures the authentic sound of one of Britain’s most famous entertainment landmarks. Using advanced analysis techniques, Sony engineers painstakingly measured the distinctive audio fingerprint of the O2 London Arena. This unique signature is recreated by your home cinema system, transporting you to the best seats right at the front of the stage. Unique to Sony, Magnetic Fluid Speaker technology faithfully reproduces the finest details of every soundtrack, from whispered dialogue to seat-shaking explosions. 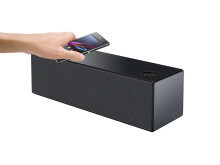 Stream sounds from your home network or a connected USB drive, or play music wirelessly from your NFC-enabled smartphone or tablet with one-touch listening. You can see exactly what’s on the screen of your mobile device, mirrored super-size on your TV with new One-touch mirroring. There’s an expanding catalogue of High-Resolution music from a huge range of artists and labels, spanning every contemporary and classical genre. Sony also offers its own online ‘gateway’ at www.sony.co.uk/hub/high-resolution-audio where music lovers can browse and download an expanding choice of High-Resolution recordings. 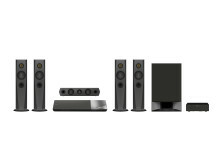 The new range High-Resolution Audio products from Sony are on sale in the UK from March 2014. [iii] The DSEE HX TM up-scales existing sound source to near hi-resolution sound quality, and makes you feel as if you are really there at the recording studio or concert. [iv] SongPal TM is a mobile application that allows you to easily and intuitively control your compatible Sony audio devices. Simply install it on your mobile phone and take control of music playback, including device settings and more – all through one app. Sony is a leading global innovator of audio, video, communications and information technology products for both the consumer and professional markets. Sony is renowned for its audio-visual products, such as the 4K Ultra HD and Full HD LED BRAVIA™ TV, Cyber-shot™ digital camera, Handycam® camcorder, “α” (pronounced Alpha) digital SLR camera, Sony Tablet and Walkman® MP3 player as well as its VAIO™ personal computers and professional broadcast equipment. For more information on Sony Europe, please visit http://www.sony-europe.com. For more information on Sony Corporation please visit http://www.sony.net. Sony, WALKMAN, VAIO, Cyber-shot, Handycam, α, Exmor, BRAVIA and XDCAM are registered trademarks or trademarks of Sony Corporation. All other trademarks or registered trademarks are the property of their respective owners.